PT Bank Negara Indonesia (Persero) Tbk - BNI (IDX:BBNI) or referred to as "Bank BNI" is an established and experienced state-owned bank and is majority owned by the Government of Indonesia. Currently, PT Bank Negara Indonesia (Persero) Tbk is 60% owned by the Government of Indonesia and 40% by public. Bank BNI has its business activities focused in personal banking, priority banking, business banking, international banking and treasury. Bank BNI is based in Jakarta and now has 15 regional offices, 169 branch offices, 911 sub branch offices, 545 cash offices, 105 payment points, 81 mobile banking units, 1,826 outlets, 16,071 ATMs and 6 overseas offices located at Singapore, Hong Kong, Tokyo, Osaka, London, and New York (as of December 2015). In term of financial performance, PT Bank Negara Indonesia (Persero) Tbk reached significant performance in the first half of 2016 (1H 2016, ended in 30 June 2016). According to Bank BNI Corporate Presentation 1H 2016 as cited by JobsCDC.com, the State-owned Bank registered total assets of Rp 539,140 billion in 1H 2016. This reflected an 25.1% increase from Rp 430,966 billion in 1H 2015. 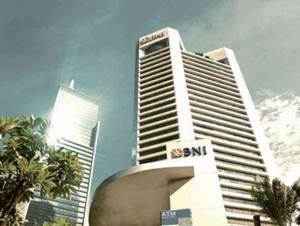 Bank BNI managed to record net profit of Rp 4,371 billion, an increase of 79.9% from the previous year of Rp 2,430 billion. Background in Bachelor or Master degree (S1/S2) from a reputable university with minimum Grade Point Average (GPA) of 3.00 (S1) or 3.25 (S2) out from 4.00. Maximum age of 26 years old for candidates with Bachelor degree and 28 years old for candidates with Master’s degree. Demonstrated good command of English, both in spoken and written. Take up the challenge, strong analytics and leadership skill. Cobol, C++, Java, MS Dot Net, PHP, Web, MS SQL Server, Platform UNIX (AIX, Solaris, Linux), TACL, SAS, PL SQL. Development Tools, Management Database, Oracle/SQL, Project Management Tools, Unix. Hands-on technical experience in programming is preferred. JobsCDC.com now available on android device. Download now on Google Play here. Please be aware of recruitment fraud. The entire stage of this selection process is free of charge. PT Bank Negara Indonesia (Persero) Tbk - S1, S2 Officer Development Program ODP BNI December 2016 will never ask for fees or upfront payments for any purposes during the recruitment process such as transportation and accommodation.